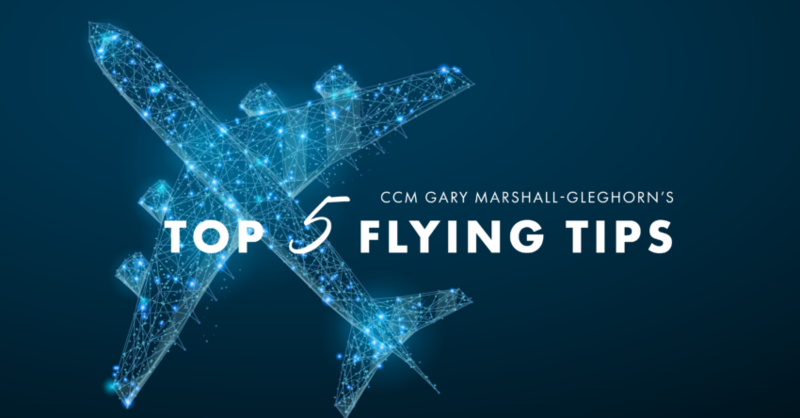 This month CCM, Gary Marshall-Gleghorn is celebrating his 31st flying year. To mark a momentous milestone in his life he would like to share his experience and wisdom that he has gathered throughout his career with you all. Here is Gary’s story. I first started to apply to the airlines in 1984, I was 20 years old at the time and everything had to be done by letter – no internet then! I would meet the postman daily for the application forms which had to be filled in by hand with a photograph attached, and then longingly wait for a letter advising if you have been successful. Gary Marshall-Gleghorn’s first successful crew job offer came in 1987 and he is now fast approaching his 32nd flying year. 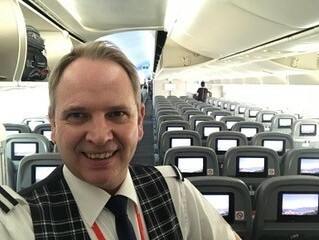 Gary has worked on 15 aircraft types and after working on the 747, Gary thinks the 787 is a real “Dreamliner” to work on! It’s a great job and it has allowed me to see cities and countries other people only dream of. I still love my job and as long as I have my health, I hope to carry on flying for a few years yet. I have kept a log book since 1988 and so far, New York is my most visited city at almost 300 at the last count. Over the years Gary has enjoyed looking after many passengers including celebrities, royalty, VIPs, dignitaries and lots of A-listers who were usually very nice people enjoying the anonymity of their first-class seat. Gary has had an amazing career and truly has a job which is in his blood and something he still look forward to doing. I love coming to work and work with some amazing people! Come to work with the right positive attitude which will create good team dynamics and a fun working environment. Never say “no” to a passenger, say “let me find out for you” even if you know it will be a NO they are usually grateful that you made the effort to find out. Wear Your uniform with pride! It’s a reflection on you as an individual and also you are representing the company you work for, you never know who is looking at you. Keep a sewing kit in your crew bag, I have been known to sew trousers, replace buttons etc at 0300 over the Atlantic and not just my own.